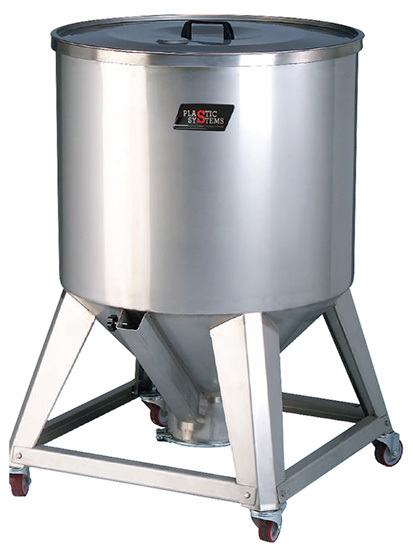 The storage bins CQ are completely made of stainless steel and come in different sizes to allow the storage of granule material. Thanks to a modular structure, it is possible to have various capacities. Thanks to the solid supporting base, it is possible to install up to 6 ferrules. The standard sizes range from 1000 to 14000 liters. Also available: fl ange for connecting an automatic feeder, material level sensors, multi-way suction boxes and metal grid for bags. Their square shape allows use the entire space available. Their structure requires an indoor installation and can’t be installed outdoors.